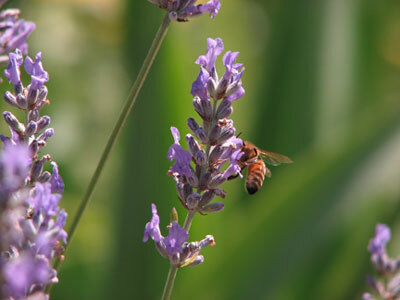 At Lavender HIlls Farm, we use the most natural ingredients we can. Botanicals from our gardens and fields are infused in oils and blended with golden wax from our honeybees and pure essential oils that promote healing. Some of our friends and family members who have extreme allergies are our most faithful customers. Mindfully produced . . . naturally! 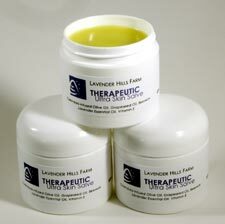 Many people experience the frustration and discomfort of several skin ailments like eczema and psoriasis. 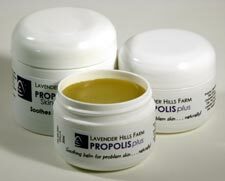 Propolis Plus is a blend of botanicals and oils that have specific properties in them that have been used historically to help with red, itchy and irritated skin. 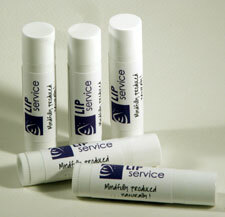 Did you know that the mineral oils used in many commercial lip balms take moisture OUT of your lips and promote dryness? Stop LBA (lip balm addiction) and give it up to the bees. Using a glycerine soap base, we've added wildflower honey for additional moisturizing, and a strong helping of lavender essential oil and vitamin E.